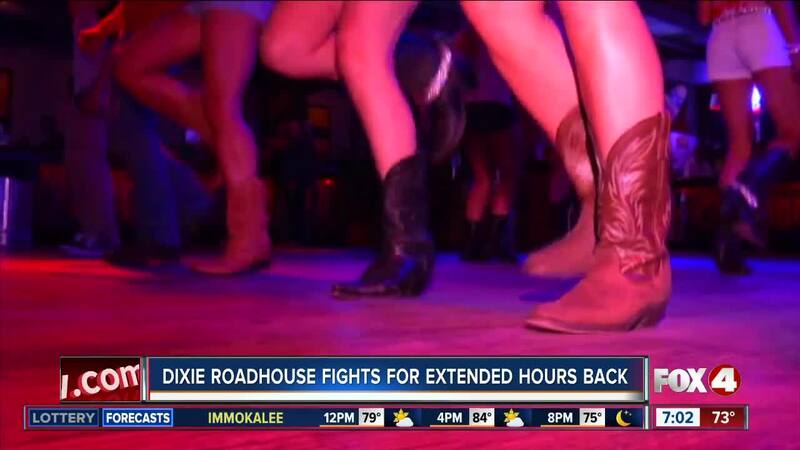 CAPE CORAL, Fla. -- The Dixie Roadhouse in Cape Coral is fighting to get back their extended hours. Police revoked the night club’s hours back in December over public safety concerns. However, the bar said those concerns should no longer be an issue. Dixie Roadhouse wrote a letter to the city saying they have addressed the city's concerns. In the letter, they said they have installed new cameras, hired new management, provided more training and increased security. They did this in order to get their extended hours permit reinstated, which let them serve drinks until 4 in the morning. Police Chief David Newlan revoked the extended hours in December after a large group of people got in a fight at the bar . That fight spilled out into the street, and police said some of those involved may have been in different gangs. Chief Newlan said more can still be done at the bar. He wrote back to Dixie Roadhouse owners with additional comments and concerns. The concerns will be part of the discussion at Monday’s city council meeting at 4:30 PM.